Interior bi-folding doors are not just a way to create the illusion of space in small rooms, but also have great potential for flexible open-plan living. Designed to elicit a feeling of warmth, these doors allow you to benefit from a cosy environment whilst allowing light to flow naturally through your home. 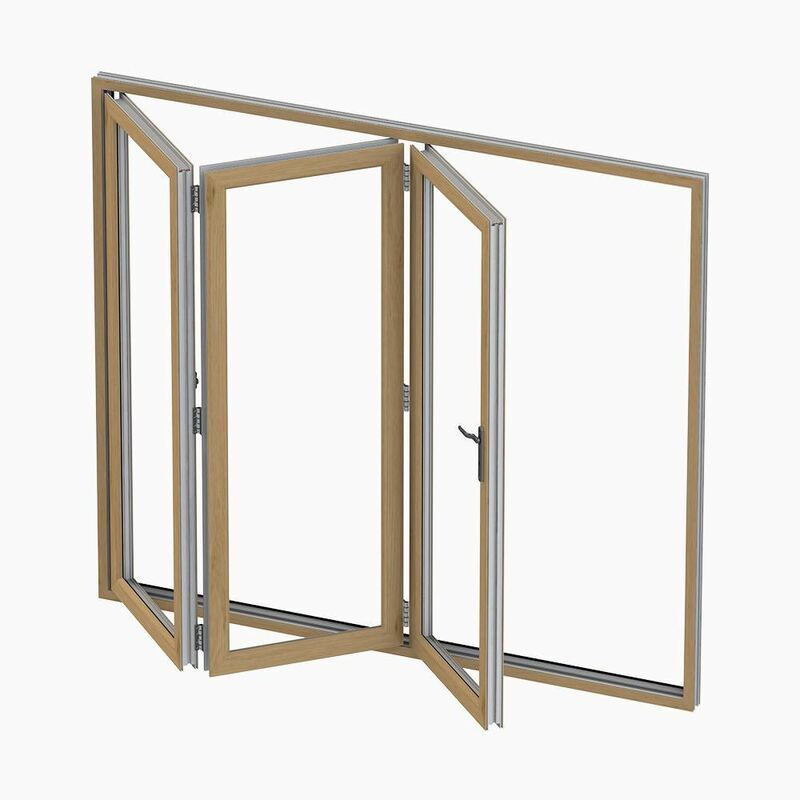 Interior bi-fold doors (also known as internal folding doors and concertina doors) are made from a series of panels and can fold in or out of a threshold to open up space. 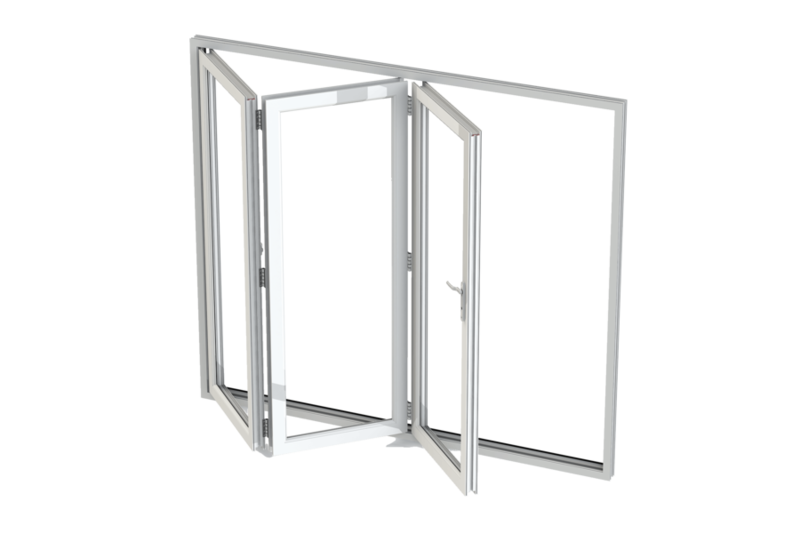 With bi-fold doors that have an odd number of panels a traffic door can be created, so that the user doesn’t need to fold all the panels back when access is required. Bi-fold doors can be fitted to a track on which the panels slide along when being folded back. 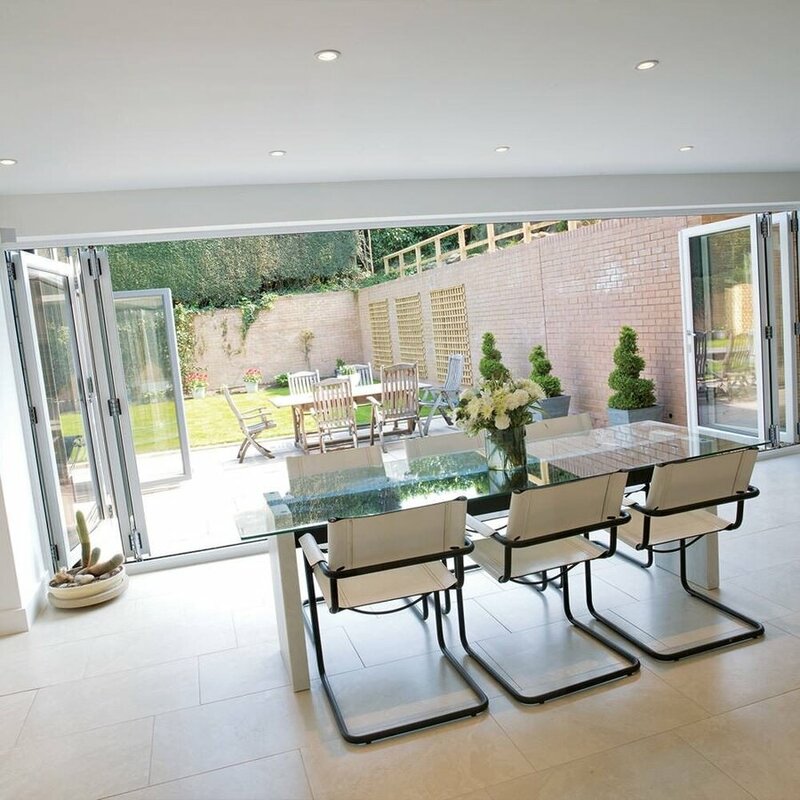 Bi-fold doors can be fitted as exterior or interior doors to make the most of both indoor and outdoor spaces. They are usually made with built-in glass panels to allow plenty of light in, which helps to create the illusion of space through greater visibility of more space elsewhere. Why Invest in Interior Bi-Folding Doors? Interior bi-fold doors are a great way to maximise space in your home, as the concertina design of bi-fold doors means that the panels can be folded up against a wall when no longer needed. As well as this, interior bi-fold doors can help create the illusion of space, even in a smaller home. This is because the visibility of other, larger spaces from inside a smaller room, even when the door is closed, allow even the tiniest of rooms to appear spacious. Internal bi-fold doors are most commonly used to divide larger rooms because open-plan living areas are not always practical. Interior bi-fold doors allow you to have the best of both worlds, as you can close the doors to use rooms separately and still maintain a good level of sound-proofing and privacy, whilst also having the ability to open the bi-fold doors for more space when you need it. An added bonus is that dividing a large room into smaller sections can help create a cosy environment that is easier to keep warm in the winter, but still allows plenty of natural light in. Having the ability to separate your kitchen from your living area helps you to keep control of cooking smells, and avoid undesirable, stale odours lingering in other parts of the home. As well as this practical feature, installing internal bi-fold doors in your kitchen and living areas can give your home a wonderful contemporary feel to welcome guests into. If you’re thinking about installing internal bi-fold doors in your home and privacy is an issue, don’t forget that bi-fold doors can be fitted with frosted glass or integral blinds. Blinds or curtains are perfect for when you want to maintain the illusion of two separate rooms most of the time, while frosted glass allows you to have a luxurious part-time feature wall, without sacrificing room to room privacy. Give your home the look and feel of a well-organised and tidy space with interior bi-fold doors and create a lasting good impression. Internal bi-fold doors can serve as the door to a small pantry or larder that you don’t want in view all the time. Simply specify your bi-folds with frosted glass. You may want to consider using interior bi-fold doors to conceal other household necessities, such as a laundry room, with a more aesthetically pleasing interior bi-fold door as well. Installing internal bi-fold doors in your property can increase its market value if you happen to sell it. As bi-fold doors bring more light and allow for more space to be saved, internal bi-fold doors can be a valued selling-point in the property market. As well as this, the stylish appearance of modern interior bi-fold doors means that potential buyers are likely to remember your property as one with unique character and charm. Interior bi-fold doors come in a variety of colours and styles, which means you’re always able to choose a bi-fold product to suit the style of your home. What Sizes Do Bi-fold Doors Come In? 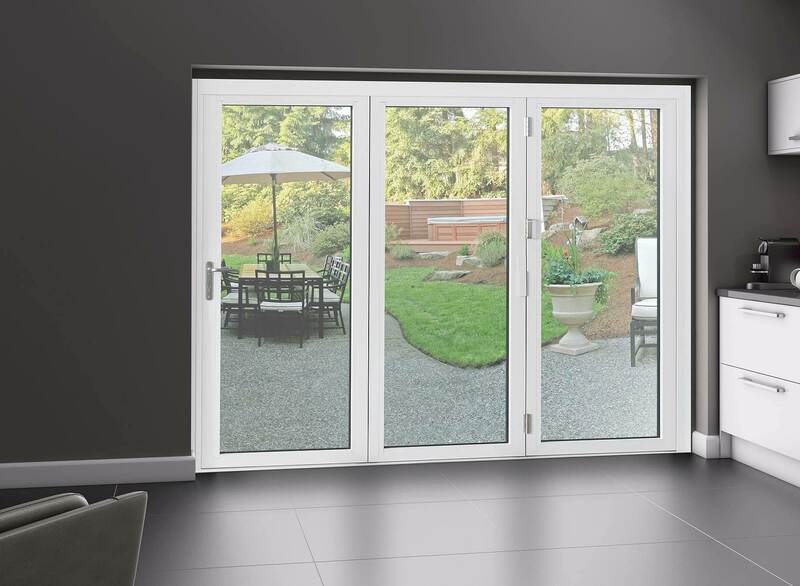 Bi-fold doors come in a range of sizes, but their height is usually between 2090mm and 2100mm, in order to fit most standard internal doorways. However, the width of bi-fold doors entirely depends upon the size of your aperture. The widths of bi-folding doors start with two-panel bi-folds at 1800mm wide, but can go up to 4800mm with up to six panels. What Are My Options in Terms of Materials? The type of material you choose for your new internal bi-fold doors should be determined by the purpose the bi-fold door would serve. Timber is a popular option for living areas, and oak is often a favourite because of its durability and aesthetic appeal. 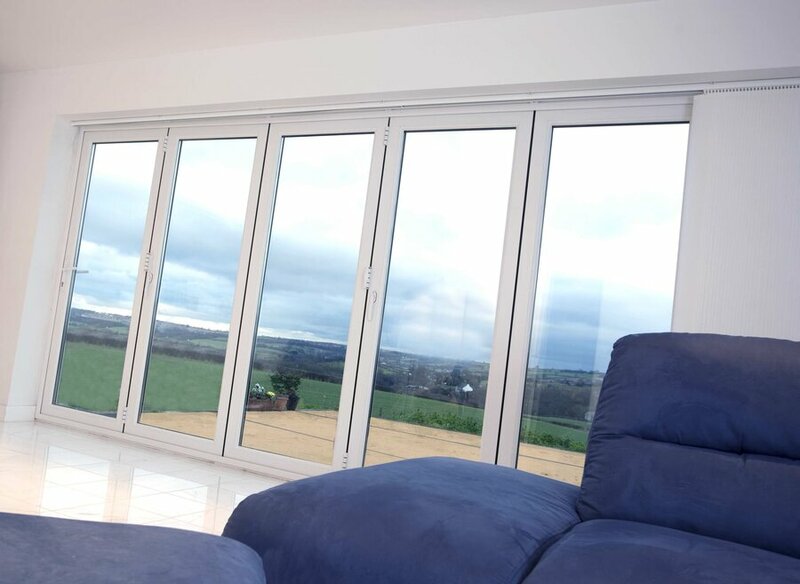 Interior bi-fold doors can also be glazed with a glass of your choice, with frosted or patterned glass normally being used for privacy reasons or to suit the style of the property’s interior design. 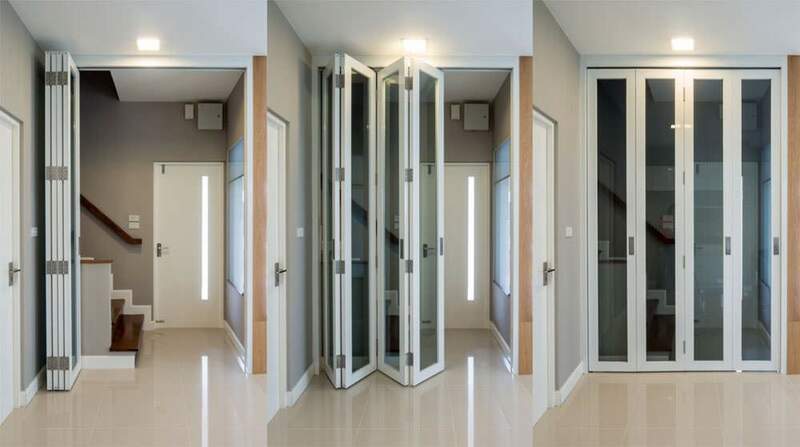 For wardrobe bi-fold doors, glass, timber and even mirrors have been used to create a modern look in many bedrooms. Consider yourself good with DIY? Watch B&Q’s video on how to fit interior bi-fold doors. 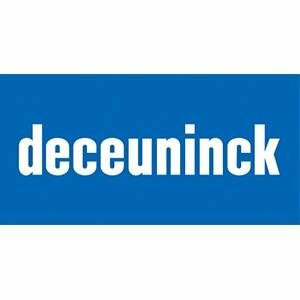 Of course, if you are after UPVC or aluminium bi-folding doors, it’s best to go direct to a specialist company. Don’t compromise on price! 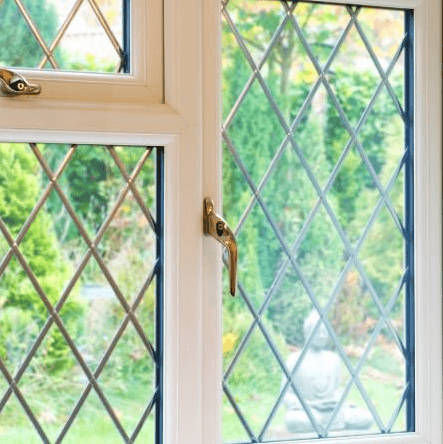 Use our online double glazing prices calculator to find the best quote. Double Glazing on the Web can put you in touch with several companies to so you can make sure you’re paying a fair price.